Get away from the hustle and bustle of your busy life by taking refuge in peaceful gardens and arboretums in VA. Experience the beauty of nature when you visit these VA gardens and arboretums and enjoy the flowers, trees and exotic plants on display there. These are great places to spend a sunny day outdoors. Colonial Williamsburg aims to preserve the history of America, in every aspect of it from its revolution era to its lifestyles and their way of celebration. Experience more of that here with this non-profit organization whose only concern is to further develop and preserve the original setting of the place and its heritage. 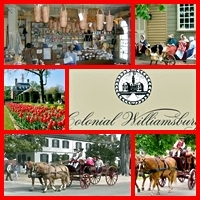 Visitors can intimately dwell with the revolution setting of their ancestors during the brink of war, take an adventure with its countless recreational activities, fall in love with its romantic settings and lifestyles, dine in the 18th century style and a lot more to celebrate the heritage of the great American history. This is one great landscaped garden & arboretum which still has the original homes and buildings of the American ancestors in its premise. A great place to visit and explore! How well do you know the first president of the United States of America? George Washington was the very first president of the US, and was the commander-in-chief during the Revolutionary War. This place, Mount Vernon, was his home together with his wife. Virginia holds the home of the United States’ first well-beloved and honored president. Mount Vernon is the most popular historic place in America along with its gardens & arboretums. 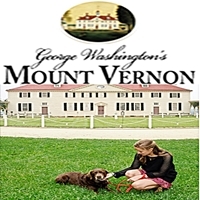 Mount Vernon also holds the estate of George Washington here. Its museums display more than 700 artifacts, the original constitution copy of George Washington and more. In their galleries, one of the main attractions you will be amazed of is the actual display of the late president’s dentures. Discover a lot of things about the most beloved president of the US who served his country with all his heart and without faint. 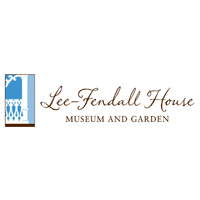 The Lee-Fendall House Museum and Garden was built in 1785 by Philip Richard Fendall who was a cousin of Henry Lee, who happened to be the father of Robert E. Lee. From the year 1785, this house has become the home to all the members of the Lee family. It only seized its purpose for the family when the civil war broke out in the US thus making it a hospital for all the wounded soldiers. Lee-Fendall House Museum and Garden is now being restored and further developed without tainting its original structures including its gardens & arboretums in its circumferential. Now it is a part of the historical place in Virginia where it serves as a tourist attraction mainly for its house and the well preserved and restored gardens. 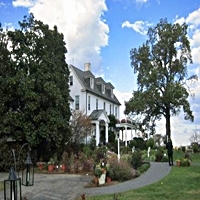 The River Farm is now part and has become the headquarters of the American Horticultural Society. It was once part of George Washington’s land properties which is located right in between the Old Town Alexandria and the famous Mount Vernon of George Washington. It displays large gardens & arboretums wherein you will encounter some wildlife too, like that of orioles, hummingbirds, turkeys, bald eagles, ospreys and different species of birds. The American Horticultural Society is a recipient of Great American Gardeners Award for the year 2013. It is a well-deserved award mainly for its mission of mixing education, social awareness or responsibility and environmental preservation with that of the study of horticulture. It has survived since 1922 and is now considered as the oldest national gardening organization in the US today. Take a tour of their website to learn more of them. Owned and built by an Englishman land baron named George Carter, the Oatlands Plantation was intended to revive the Greek home structure in Virginia. A 260 acre plantation was opened to the public way back in 1966 and is now one of the 18 national properties listed on the National Historic Landmark. One can find the complete revival of Greek ornaments, designs inside the house surrounded by its formal gardens which happens to be the finest example of Virginia’s early gardening and landscaping. Virginia’s Oatlands Plantation continuously prepares a lot of activities for their guests and visitors to make them fully aware and appreciate the natural beauty of Virginia’s history and landscaping. 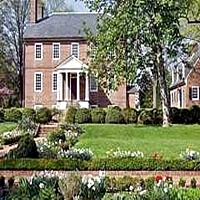 Come and visit Oatlands Plantation in VA to enjoy their many programs and events within their gardens and plantation. Believe it or not, Virginia definitely has a fortune of gardens & arboretums and Kenmore Plantation & Gardens is one of them. Kenmore Plantation & Gardens is not just one of their gardens but it is considered as one of the most elegant mansions in the US. Kenmore Plantation & Gardens in VA lies in the heart of Fredericksburg; it was built by the sister of George Washington and her husband Fielding Lewis. Your visit to this mansion will be guided and will start right in the Crowninshield Museum. In this museum you will get to see 18th century furniture, fixtures and art decorations. The tour guide will lead your way on a 45 minute tour of the mansion’s first floor and its kitchen. Right after the tour, you will be given the leisure to walk in its 3 acres of gardens and landscaping. This was part of George Washington’s Mount Vernon, 2000 acres of estate given to his wife’s granddaughter and husband, Nelly Custis and Major Lawrence Lewis respectively. 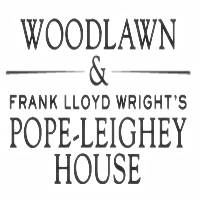 Woodlawn was a wedding gift by George Washington to both of them. The mansion that you will find here was their home and was designed by Dr. William Thomton, who was the first architect of the US Capitol. As time went by, the Woodlawn in VA survived through the support and engagement of Virginia’s locals. Today, Virginia’s Woodlawn features a lot of fascinating artifacts, advocacies, educational information and fun entertainment around the place. It has a lot going for its further development and promotion. Please take a peek at their website now.